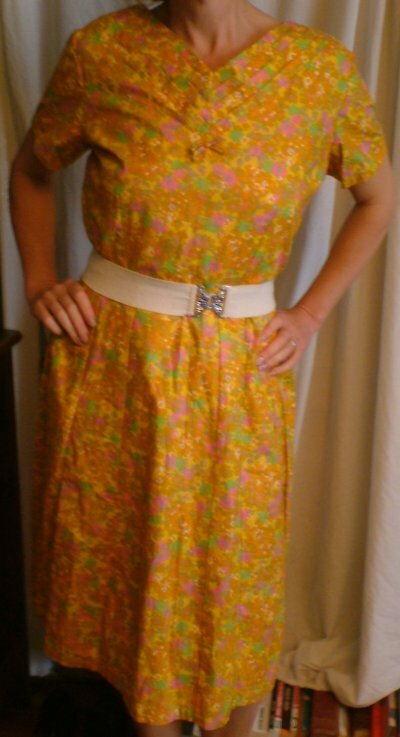 BNWT 1950s vintage yellow flowered dress with self belt. 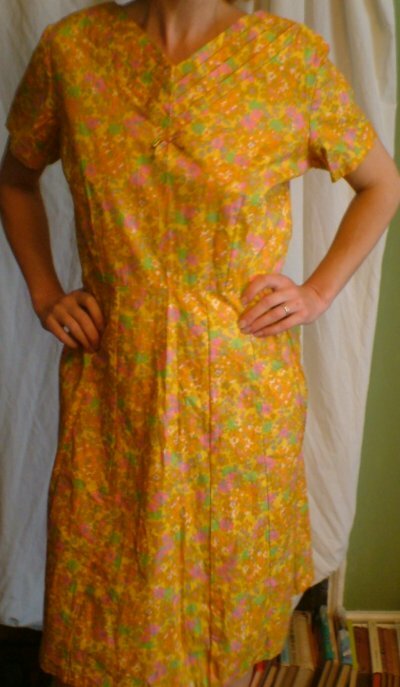 This is a brand new dress, with original tags still attached, in a superb summer print - pink, green and orange flowers on a sunny yellow ground! 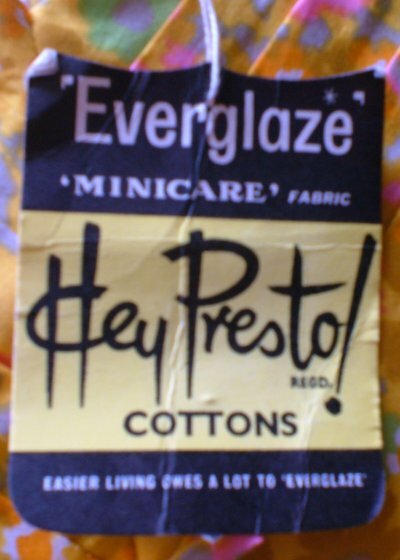 It's made in 'Everglaze' easy-care cotton, and has a self belt with buckle, and a skirt made in thirteen panels. It fastens with a side zip. It has four rows of pleating aound the vee neck, which is decorated with a bow. Our model cannot do it justice, as this is a larger size; I think about a 16, possibly an 18. Approximate measurements are: bust 43 ins/109 cms, waist 38 ins/96.5 cms, hips 50 ins/127 cms, length from back of neck 40 ins/101.5 cms. 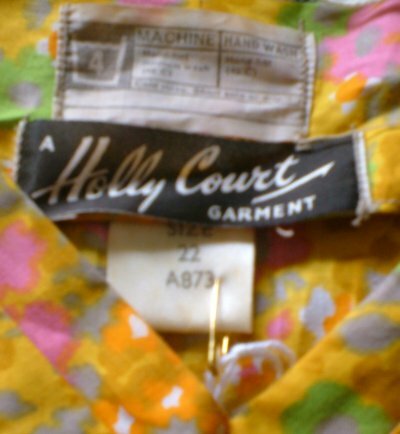 The colours are vibrant, the style is easy, it's a genuine vintage item in perfect, unworn condition....What are you waiting for?? ?